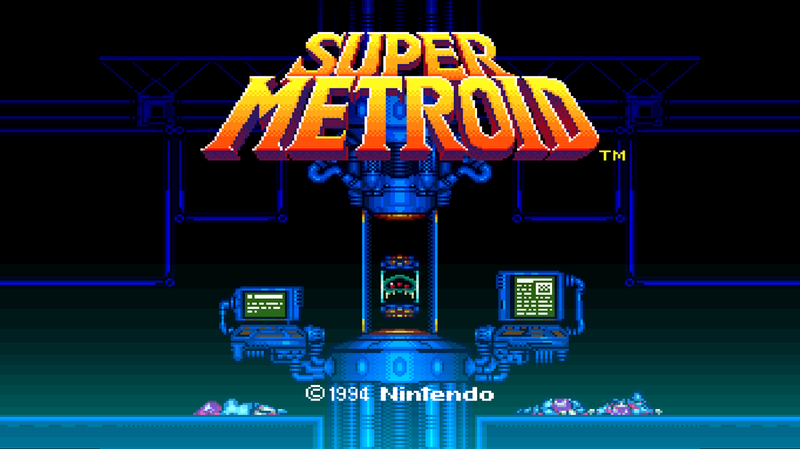 Super Metroid is a 2D action platformer and was a Super Nintendo exclusive when it was released in 1994. It is sometimes referred to as Metroid 3 and is the direct sequel to the Game Boy’s Metroid 2 Return of Samus. What most people don’t know is that officially it is a remake of the original Metroid NES game but that is hidden because of some great story telling. 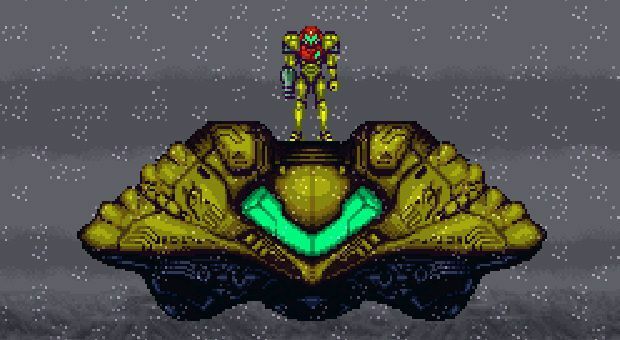 The Metroid larva that hatched and imprinted on Samus at the end of Metroid 2 has been taken to a Ceres Space Colony. The colony is shortly attacked by Ridley who wants the larva. A destress call is sent out, Samus returns but she is too late. She follows Ridely back to the planet Zebes where this all began in the first game. Super Metroid is still a perfect example of flawless gaming. The controls are perfect, the story keeps you invested and the weapons and power ups create a whole new feeling. We love seeing many of the areas from the NES version of Metroid updated and even still destroyed because of the first Metroid games ending. The boss battles are all outstanding. Too many times 2D shooters/platformers skip out on making boss battles different but not in Super Metroid. There are 11 of them or 12 since you fight one more than once. You look forward to them and it makes you want to explore and find all of the power packs, bombs and missiles packs so you can defeat them. We looked for something to complain about but can’t find anything. Even graphically it still looks amazing and holds up to modern 2D platfromers on the latest console systems. Super Metroid took us between 10 and 12 hours to get through the game the first time, that means you are averaging an awesome boss battle every hour or so. We had a 93% item find rate. After we went back and found all of the bombs/missile and power packs we were closer to 15 hours when we got our 100% item find rate. Replay is extremely high. Even if you find everything you will still want to go back and experience Super Metorid again and again. At $7.99 you will not be disappointed at that price. In May of 2013 as a promotion Super Metroid was on sale for only 30 cents and if you got it in 2013 at that price then congratulations you are winning at life. But, for the rest of us $7.99 is what we are going to have to pay because beside the sale in 2013 we have never seen it at a lower price on Nintendo eshop. Under $5.00 it is a MUST BUY PRICE!